On New Year's Eve, 1998, I hitched to the base of Mt. 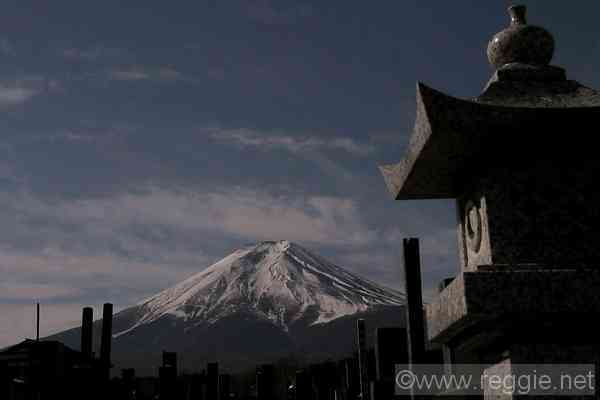 Fuji and started climbing. It was bitterly cold - around -25 centigrade with the wind-chill factor. I met a few other climbers, but then went on my own. At about 3 a.m., the path ahead appeared to be covered in snow. I was worried I would lose my way. It was too cold to stay on the mountain, so I descended. In the New Year's morning sun, I could look back up - to see that the snow lay only on the path. Had I followed the snow, I would have made it to see the sunrise from the top. I was bitterly disappointed with myself. To make up for this, I decided to travel back from Japan by hitch-hike (mostly) for nine months. So, on the first day, I went back to Mt. 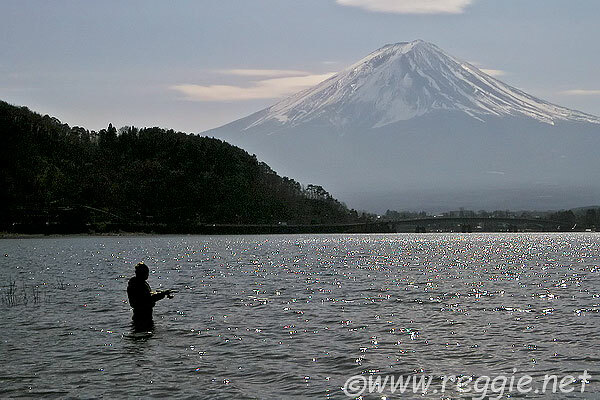 Fuji - just to take some snaps.